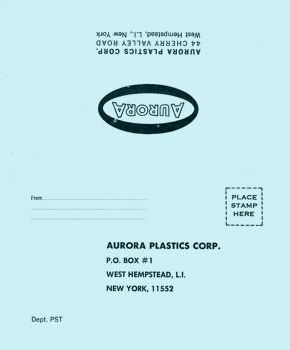 Aurora's 32-page, full-color 1968 service manual was largely the same as that of the previous year, except the dealer listings were pared down to 11 pages to make room for new rolling stock as well as building and bridge kits. Also note that road codes were dropped from the rolling stock descriptions. Once again, I've omitted the dealer listings. All booklet pages link to larger images. 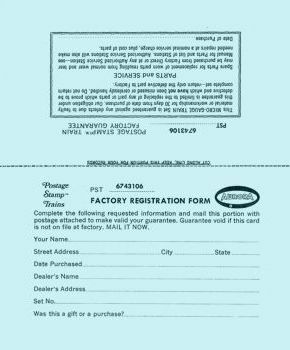 Also included was a factory registration form.